Our next brand seminar will take place in Cardiff Bay on Thursday the 14th of July 2011. The seminar is for individuals that wish to develop their organisations brand. 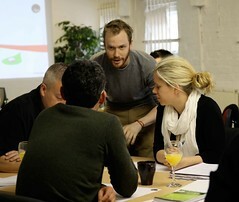 Hoffi's brand seminar is perfect for developing an understanding of branding and how it is integral to your company. We will work through some examples of what branding is and what it is not. We will also look at why having a good brand is valuable for your business and what the key ingredients of a good brand are, we will be particularly concentrating on how to use your brand to position itself in the marketplace.